WHAT CAUSES GREENHOUSE GAS EMISSIONS? In the natural world, volcanoes are the biggest source of CO2 while the main sinks come from carbon fixation in the oceans and carbon stock in trees created by photosynthesis. Though these natural phenomena would have kept carbon levels stable over time, human activity from the industrial revolution and beyond has created an imbalance, making greenhouse gas emissions from all sources about 40 percent higher than the earth’s natural offsetting capacity. Naturally-occurring greenhouse gases include water vapour, carbon dioxide, methane, and dinitrogen oxide. Industrialisation created gases that are unique to human activity, including halogens like CFC, HFC, HCFC, PFC, and SF6. Water vapour, which has about a nine-day cycle in the atmosphere, doesn’t affect climate change, though it is the cause of 65% of the natural greenhouse effect. Long-life gases like carbon dioxide cause the most noticeable change. CO2 makes up 25% of the greenhouse effect, which means a big change in CO2 levels will have a significant effect on the temperature, and that’s what we’re seeing now with climate change. HOW DO GREENHOUSE GASES CAUSE CLIMATE CHANGE? Greenhouse gases help to retain infrared radiation from the sun in our atmosphere, raising temperatures. This results in a greenhouse effect. Without any greenhouse gases, the average temperature on Earth would be about -19 degrees Celsius, compared to about 14 degrees today. This means that greenhouse gases are important for sustaining life on earth. The problem we are encountering today is caused by the additional greenhouse gases entering the atmosphere due to human activity. This increases the amount of heat retained from the sun, warming the atmosphere. Carbon dioxide is the most prevalent greenhouse gas. From the beginning of the industrial era to 2008, atmospheric CO2 has gone up from 280 parts per million to 390. Levels are monitored here. The Intergovernmental Panel of Climate Change produces reports on climate change. The latest, from 2007, states that man-made emissions are more than 90% likely the cause of current climate change trends. By 2050, the earth will be an estimated 2 degrees Celsius warmer. WHAT IS A “CARBON CREDIT”? Carbon credits make up a trading system that creates financial incentives to reduce greenhouse gas emissions. Participating organizations are capped in either a mandatory (government-regulated) or voluntary system. Governments can issue allowances or quotas. Participants that keep their emissions under the cap can earn carbon credits, and organizations above the cap buy carbon credits to offset their surplus of emissions. Thus, for companies or organizations that stay under the cap, there is a financial reward in selling the credits. The farther under the cap, the more financial benefit. The overall goal is to reduce emissions. Part of the carbon credit trade includes the “offset market” – companies or organizations that run greenhouse gas reduction programs, amassing carbon credits and selling them to other companies and organizations. This occurs especially in the voluntary market as companies and organizations are beginning to see the value of greener business practices and emission reductions, especially from a marketing point of view. Projects vary in quality and yield. There are some certification methods, especially in the Kyoto Protocol regulated markets. Generally, quality is determined by additionally, promoter credibility, transparency of processes, absorption or reduction assessments by third parties, well-kept records, and quantification protocols. Tree Canada strives to take all of these factors into account in our carbon offsetting program, Grow Clean Air. WHAT IS TREE CANADA DOING? 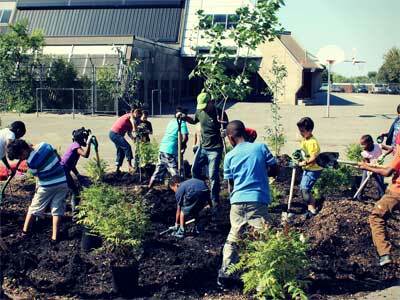 Tree Canada is an organization that believes in creating positive action against climate change. Because trees sequester carbon dioxide from the atmosphere, the more trees we plant the more we prevent emissions from affecting our atmosphere. Our Grow Clean Air program is about doing just that. Carbon emissions can be calculated using our online calculator, which gives you an approximate estimate of the number of trees that need to be planted in order to offset your emissions. We can also help you to formulate more specific estimates according to the emissions from a specific event or from a company’s overall operations. Offsetting carbon through tree planting is a great way not only to reduce the effects of greenhouse gases and improve the environment, but also to constructively neutralize the impact of your personal emissions or those of your company or organization. In fact, if you offset carbon through our Grow Clean Air program you can earn a “carbon neutral” certification. This is a way to become greener, to show corporate social responsibility, and to protect future generations from the potentially devastating impacts of climate change. Carbon offsetting is mitigation, not reduction. If emissions are first reduced, offsetting is less expensive, and a proactive approach can be taken: the more trees are planted, the more carbon is offset globally, not just from your own activities. 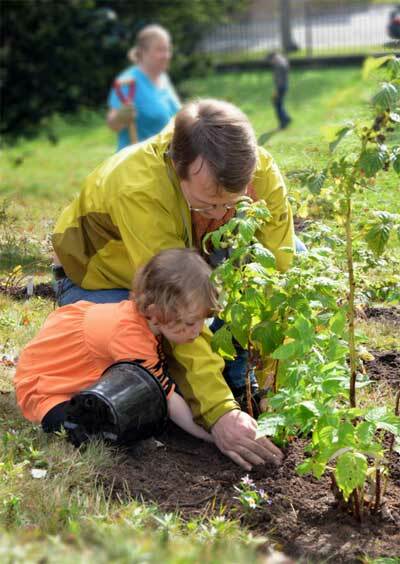 Click here to learn more about planting trees using Tree Canada’s Carbon Protocol. I HAVE OR WOULD LIKE TO CREATE A PLANTATION ON MY PROPERTY. CAN I GET CARBON CREDITS? 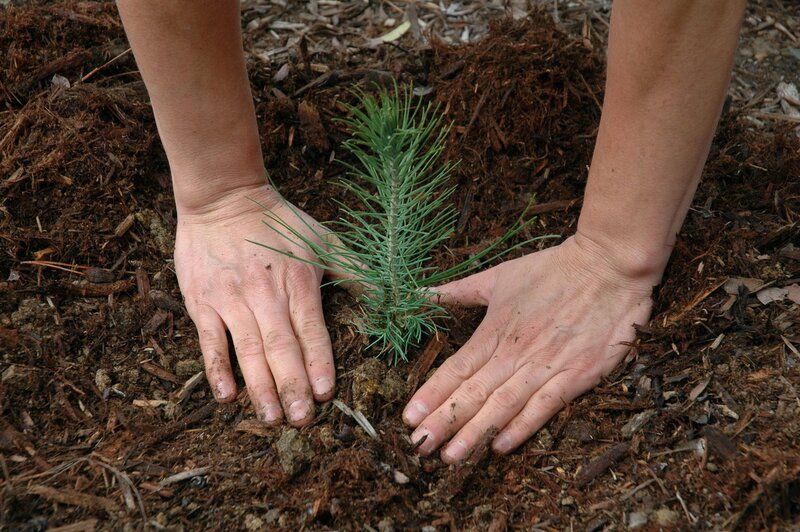 If you have already proceeded to plant trees on your property, you cannot claim any carbon credits. The reason is because this tree planting was most probably not established according to a strict protocol and was not done with the purpose of receiving carbon credits. Another reason would be that the additionality requirement is not met. This requirement refers to the intent of a planting project to surpass the “business as usual” scenario in order to generate carbon credits. To sum up, if a tree planting was established without following any recognized protocol, the project does not clearly surpass the “business as usual” scenario. If a planting was not specifically established in order to get carbon credits, the said plantation will not be able to generate carbon credits. On the other hand, if you are a landowner and you wish to establish a tree planting to generate carbon credits, you must know that these projects are often long and costly to establish. As an example, for a third party verifier to visit the planting site and to review the project design document, the cost will be approximately $15,000. So, for this kind of project to be worth it, it’s best to have a large piece of land where lots of trees could be planted. Certain sponsors might have an interest in investing into this type of project. So if you own a large property, please contact Tree Canada to let us know about it. WHY ARE TREES PART OF THE ANSWER? The most commonly emitted greenhouse gas is carbon dioxide, and this is the only gas plants use in photosynthesis to create energy and grow. About a third of human-made emissions are covered by this process. Since trees are the major sources of sequestration, without them climate change would be much more severe. Keeping this in mind, carbon sequestration from trees is an obvious way to combat global warming. This is one of the least expensive and least risky solutions. Reforestation and reducing deforestation gradually raises the percentage of emissions trees can absorb. 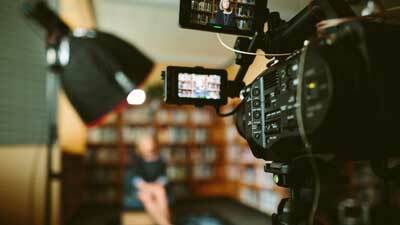 WHAT IS A CARBON NEUTRAL CAMPAIGN? Election campaigns often result in increased carbon emissions due to frequent travel by air and ground. Tree Canada invites all candidates running for federal office to make a commitment of tracking their own emissions and offsetting them through the planting of native trees in Canada, according to the Tree Canada Afforestation and Reforestation Protocol. 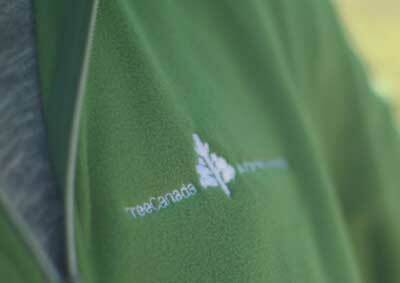 IT’S EASY TO RUN A CARBON NEUTRAL CAMPAIGN WITH TREE CANADA!